In this online ticket shop operated by GetByBus you can buy ticket to domestic long distance bus routes operated by the company Samoborček. 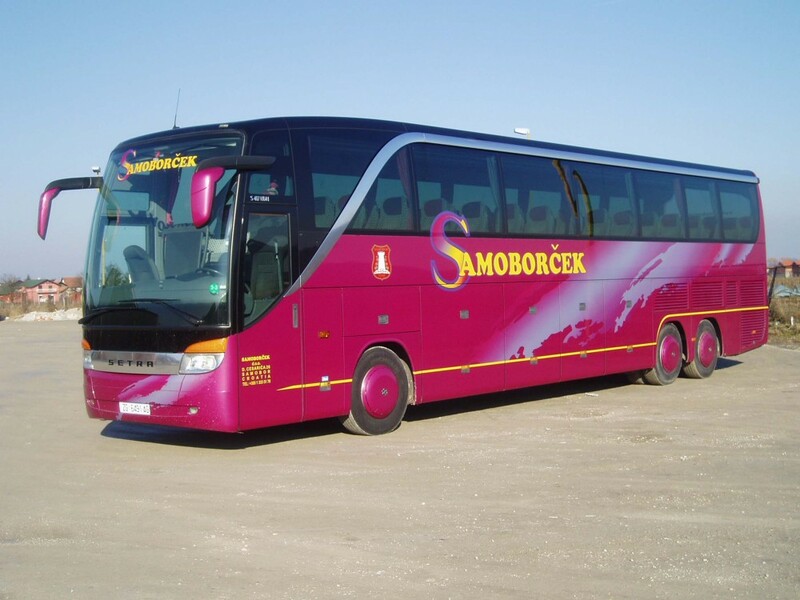 Samoborček, from Samobor, west of Zagreb, is well-known for their purple buses, which drives to most destinations with in Croatia. In the area around Samobor the company operates regional buses to most cities within a distance of 50 km. In addition to regular scheduled bus service, the company also offers a large program of pre-arranged bus tours and excisions, as well as bus rental for groups travelling to and from the Samobor area.